SOUTHFIELD — Nexcess.net LLC, the Southfield-based managed cloud hosting provider, announced the expansion of its Nexcess Cloud service to its Sydney, Australia data center. The company says the move will provide businesses throughout Australia and the Asia Pacific region with low-latency performance-optimized Magento, WordPress, and WooCommerce cloud hosting. The Nexcess Cloud is a managed cloud hosting system optimized for performance, security, and scalability. Designed to support sites and e-commerce stores of any size, the Nexcess Cloud empowers businesses with automatic resource scaling, instant deployment, PCI DSS compliance, and a range of developer-friendly features. Nexcess Cloud nodes are optimized for individual applications, including WordPress, WooCommerce, Magento, Craft CMS, and ExpressionEngine. Nexcess Cloud users benefit from PHP, database, caching, operating system, and network optimizations that calibrate application hosting nodes for maximum reliability and performance. The Nexcess Cloud allows site and store owners to quickly deploy and manage applications with an intuitive web-based interface. 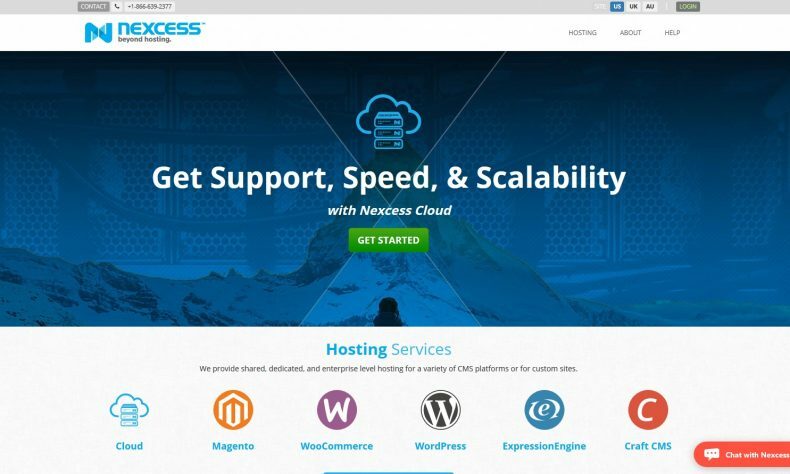 Unlike many application hosting platforms, the Nexcess Cloud was also built for developers, with a full range of technical tools that include version control, instant deployment of developer and staging sites with built-in database scrubbing, Composer support, and multi-user SSH and FTP access. Nexcess’ Sydney location is based in a new data center that provides low-latency connectivity to Australia, New Zealand, and Southeast Asian markets, including Vietnam, South Korea, and Japan. The data center offers comprehensive power and network redundancy, with dark fiber network connections to a broad range of major bandwidth providers. Nexcess, founded in 2000, has data centers in the United States, Europe, and Australia. More at www.nexcess.net.